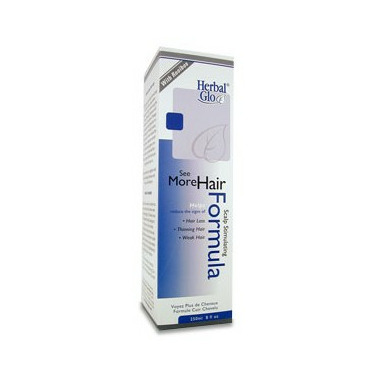 This Scalp Stimulating Formula is a balanced topical solution of exotic botanical herbs and active hair nutrients. When massaged into the scalp it helps nourish and activate the scalp and hair roots to create the ideal environment to help normalize hair growth. Directions: Daily apply the Scalp Stimulating Formula onto the scalp, either before retiring, or after using the Deep Cleansing Shampoo and Nutrient Conditioner. Massage thoroughly using fingertips in a kneading and rotating motion. Continue for a few minutes. You will notice a pleasant warmth and stimulating tingle as the nutrients are absorbed. Your entire scalp will feel fresh and invigorated. Leave on. I really loved this the first few days I used it, but after a week I started noticing that my scalp was getting extremely dry and itchy and I could see flakes of dandruff (this was not an issue for me prior to using the product). I ultimately had to stop using it because it made my hair shed way too much, probably because of how drying it was for my scalp. FYI the second ingredient is alcohol so beware if you already have issues with a dry scalp. My hair look better since I start using Herbal Glo shampoo, conditioner and scalp stimulating formula. I am using this product and feel that it is helping me keep the hair that I have. It feels so good. Creates very warm and pleasant sensation for my scalp, smells well, and makes hair look fuller and healthier. Not sure if this product actually prevents, stops hair loss, or starts regrowth of hair, but it feels and smells really great on my scalp, and for some reason that makes me feel good. You only need a little bit to feel a minty, tingling, so one bottle should last a while! It also leaves no residue when it dries, which is fantastic. My boyfriend started to use it sometimes just because he likes how it feels on his scalp, and the scent helps him sleep at night too. It also eliminates the itchy scalp I have. It's a wonderful product. My hair looks healthy and shiny. It works. my scalp is really feeling warm and stimulated! This is a great product. Easy to apply, nice smell and the warm feeling. My hair is getting thicker and I am not losing much anymore. It is a wonderful product that helps my thinning hair to regrow. I am not losing hair any more and enjoy the warm feeling after each use. This product certainly leaves the scalp feeling warm and stimulated. Fixed my difficult patch of dandruff leftover from trying Provillus within a week... keeps my hair soft and the solution is weighless... love it! It actually works. My hair is thicker and I have way less going down the drain! Herbal Glo works great. I've got my hair back. After 4 days of use, I've seen hair.